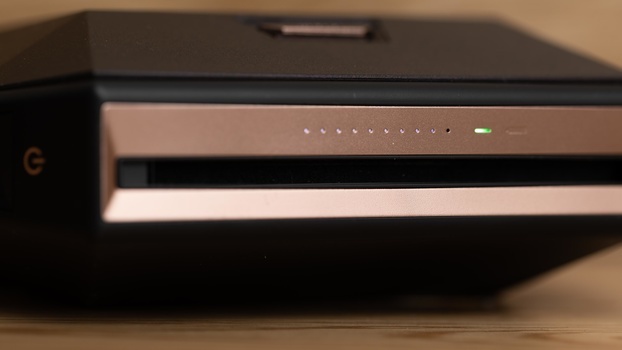 As with all current Instax cameras and printers, the SP-3 is made predominantly of plastic, although it definitely does not feel cheap. The soft touch finish is very pleasing and the buttons have a satisfying tactile feel to them. The printer is a little chunky and slightly uncomfortable to handle with one hand; however, this is a minor issue at best. In regards to its size, the SP-3 is slightly larger than the SQ6 and definitely not something that's going to fit in your pocket. I wouldn't call it unwieldy or difficult to pack with the rest of your equipment, but it is still larger. 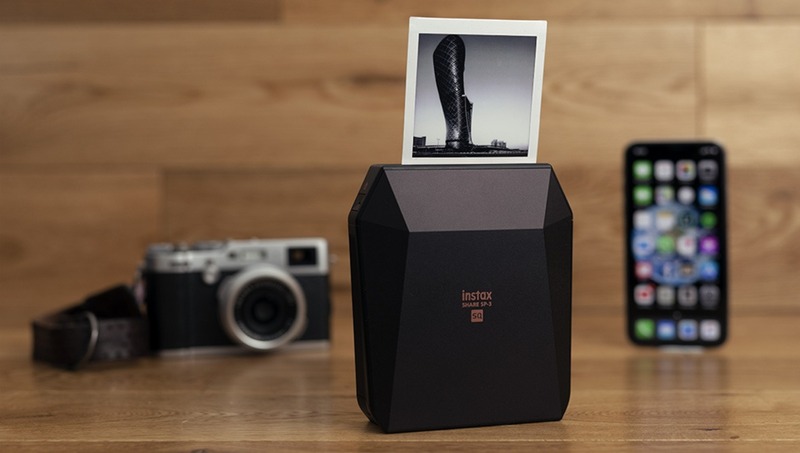 Unlike many of the analog Instax cameras, this printer operates with a rechargeable battery. I really appreciate this feature because it's one less thing to worry about. The SQ6 for some reason uses two CR2 batteries, which aren't the most popular choice. The fact that the SP-3 uses a rechargeable battery is convenient. The LED lights on the top of the printer indicate how many shots are left, which is a nice touch. This may not seem like a massive thing, but it's one of those little touches that just makes using the printer much more pleasing. 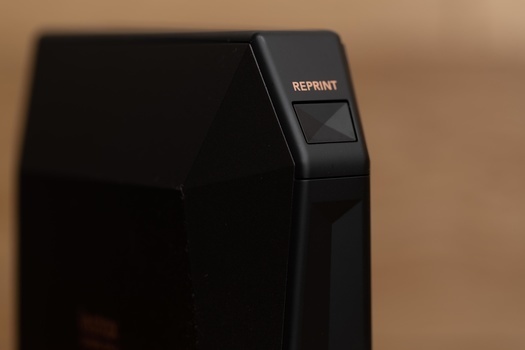 Another feature that I really like about the printer is the "Reprint" button. This allows you to quickly make a duplicate of any image you’ve already printed. This is great, because in many situations, if I take an image of someone, more than likely, they want a copy too. The app also contains a whole history of all the images you’ve printed, meaning that it's really easy to go back and reprint any previous image. I've used this feature quite a bit, actually; therefore, I find it very practical. My favorite thing about this printer is the fact that you can print any image that is on your phone. This doesn't have to be images taken by your phone, which really opens up the possibilities of the kind of images you can print. 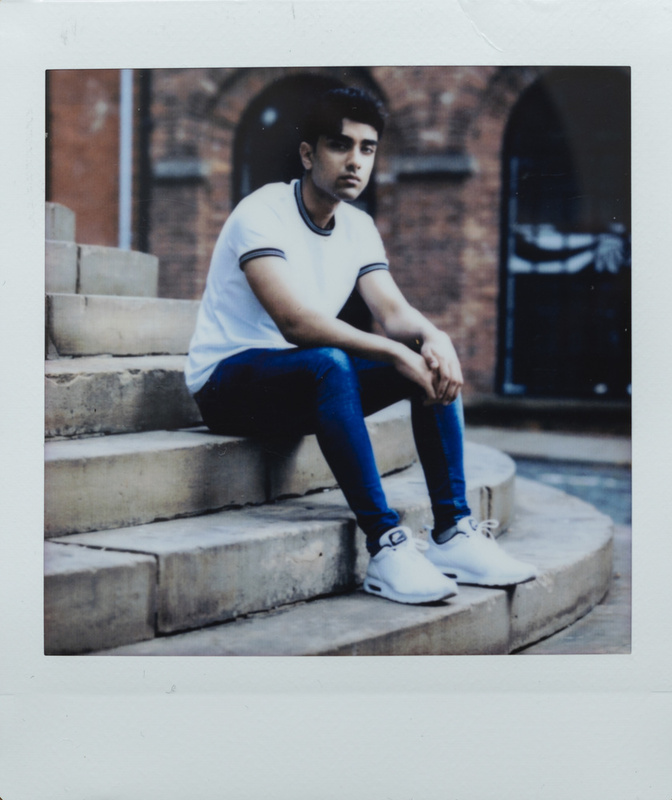 Square is definitely the way forward for Instax. The previous model, the SP-2, used the Instax Mini film, and I just never bothered to consider it. 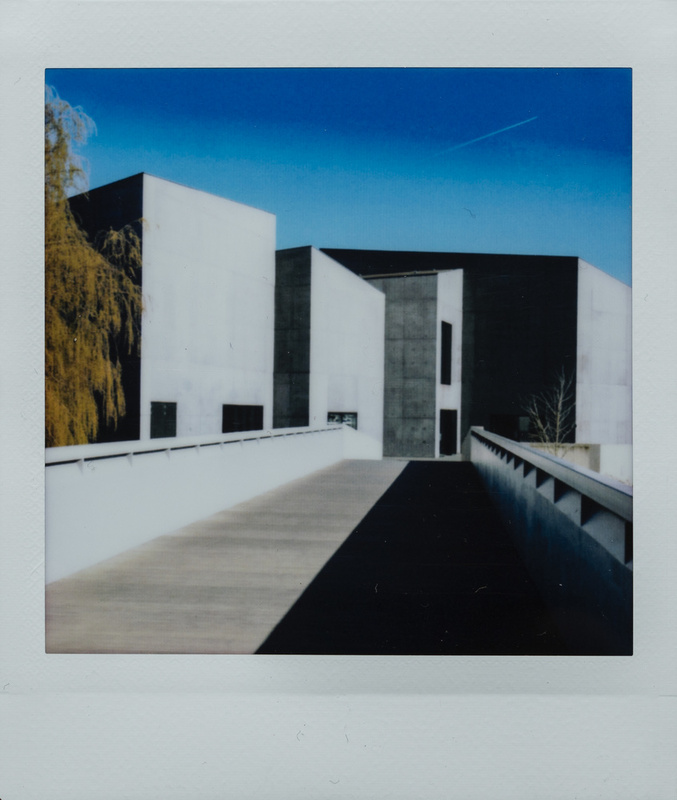 The SP-3 uses much larger film with its square format, and I think it's the perfect balance between the Instax Wide and Instax Mini. The fantastic thing about this printer is that image quality varies quite a bit depending on what type of image you print. Of course, there is an upper limit based on the actual film itself. Even so, it's quite incredible how you can have images from your full-frame DSLR camera printed almost immediately from this printer. My preferred camera to combine with the SP-3 is the Fujifilm X100F. This is a camera I have on my person at almost all times; therefore, it works great for me. 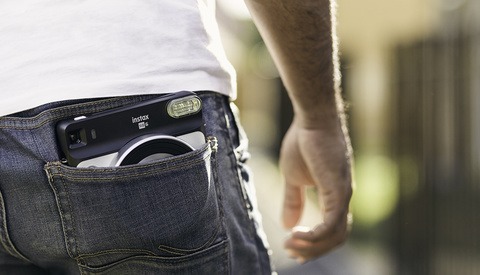 I do, however, believe that many people will probably use their smartphones to take the images they want to print. 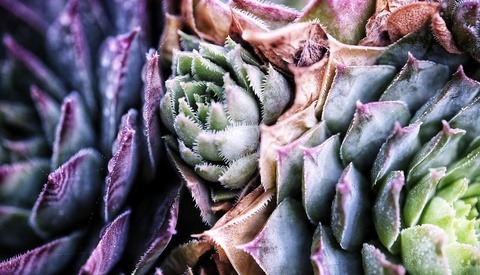 Dynamic range is still an area where the film suffers, even with images that are correctly exposed. The images above are good examples of that. Parts of the model's face and his shoes are blown out in the print, but not in the actual digital image. The image with the building appears even worse when it comes to dynamic range. The colors have severe banding, and the high-contrast areas between the lights and darks in the building don't work very well. Knowing the limits are of course important; however, in real-world use, I haven't found this to be a major issue when printing many of my images. Essentially, if you're printing high-quality images taken with your "proper" camera, then you shouldn't expect super high-quality results. On the other hand, as mentioned above, I believe most people will more than likely use their smartphones with this printer, and I'm very pleased with those results. High-contrast areas still suffer, but with the limited dynamic range of most smartphones, I doubt this will be a major issue for many people. The film aesthetic still comes through really nicely, and there is a certain look and feel to the images that I think can only be expressed properly when you physically hold the images. The images below were all shot with a smartphone. My first impressions of the app were that I thought it looked a little dated. The interface is a little crowded, but admittedly, it's quick and effective. The great thing about the SP-3 is that there's no need to set up the printer or the app. Once you connect to Wi-Fi (which is very straightforward), you simply open the app and you're good to go. The app will ask for permission to access your images, and then it's a simple matter of selecting your images and printing them. I personally do not edit any of the images in the actual app, mostly because there aren't any proper features. I think the lack of editing options is a big missed opportunity. Fuji could have offered some of their film profiles in the app, which I think would have been incredible. Classic Chrome is definitely my favorite; however, shooting with the X100F means that I can apply that profile before sending it to print. The only thing that annoys me about the app is that even if your image is perfectly square, the app will still always apply a slight crop on all sides. This makes composing slightly tricky, and you need to leave a little breathing room for your images. The app also allows you to connect directly to your Instagram and Facebook accounts, allowing you to print directly from social media. This I find to be a great feature, because many images on Instagram are in the correct aspect ratio anyway. All in all, although the app looks a little dated, it actually works very well and is very effective. Allows you to print images from essentially any camera. Uses the larger square format film instead of Instax Mini. Clunky app design with limited features. The dynamic range of film, although saying that, I feel it's somewhat of an unfair criticism too. Battery life isn't great; I've managed about 30 prints on one charge. Personally, I'm still more of a fan of proper film cameras like the SQ6, purely because the look and feel are difficult to match. The SQ6 is also slightly more portable, making it easier to carry around with me. Having said that, I actually really like the SP-3 for slightly different reasons. For one, mistakes are not a problem with the SP-3, because you can control exactly which image you're going to print. With the SQ6, if you compose just slightly off or the exposure is a little wrong, then that's the image. There is no delete option with a proper film camera. The SP-3, on the other hand, gives you a lot of flexibility. Make a mistake with a shot, no problem, take another and only print the ones you like. This essentially makes the SP-3 more economical, because it prevents wasted shots. Relatively speaking, the film isn't exactly cheap, and the cost of wasted shots can really start to add up. Other than that, the little touches are what make this printer a pleasure to use. The reprint button and rechargeable battery make it a really good, well-rounded product. Finally, the value of this printer in a social context cannot be overstated. The images you print, even if they're just from your smartphone, immediately have more value. The reprint option allows you to quickly share with friends and even clients. 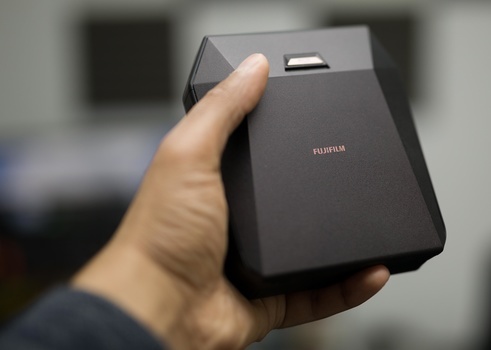 Ultimately, the Fujifilm SP-3 is a fantastic printer that helps to give more value to your memories in a very convenient way. This is definitely one I recommend. 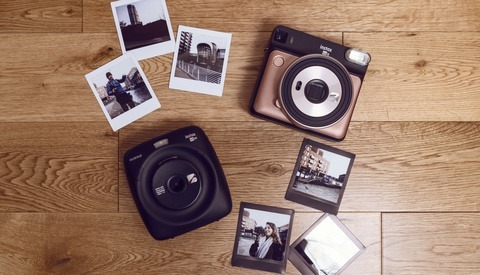 It retails for just under $170 and can be purchased here: Fujifilm Instax SP-3. 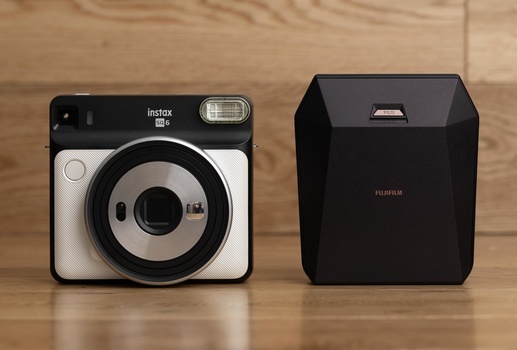 The size is a major disadvantage plus it looks like a printer as opposed something that looks far more aesthetically pleasing like the Instax printers. Also, instax have that nostalgia thing going for them. I'm certain the Canon is a much better printer in terms of quality but that's not hat this market is about. Also takes a bunch longer to print and there's a reason why they haven't taken off like instax cameras because they don't work in many social situations. It feels like a portable office printer. I had both and I can say that I am happier with the SP3 for my use. The canon is much better if you regularly need photos of that exact size for framing or scrap booking etc and obviously the size and quality is better. As far as a fun travel printer to be able to give away copies of photos or make fun collages with the SP3 is great. I think they nailed the square format and size here too. The smaller versions feel much less useful. Have you tried calibrating the printer? I'm considering doing that, but it's a hassle since I don't have access to anything I can use for calibration. I think it would be simplest to split the image into smaller ones and have them scanned all together on a calibrated scanner. I haven't tried it and it looks like a heck of alot of work lo. I think I might give some of it a go. The colors section looks interesting to me. Thank you for sharing the link, much appreciated. You can just download his profile and then use PS to save any image using the color profile. Later when printing it will help bring the dynamic range into line and fix some of the over saturated colors. He already did the work for you. It's still an extra step but worth it if you are printing to keep or for a project where quality will matter. Thanks for this review, Usman. I enjoyed reading your observations and am considering this printer a bit more seriously now. I have a sort of off topic question...by any chance have you tried manipulating the surface of the print? You may remember that was a popular creative technique with Polaroid SX70 prints. I was just wondering if that's possible with Fuji's Instax films. Hey, thank you for the comment really appreciate it. I'm mostly a novice when it comes to film photography. I shoot some 35mm and some instax but other than that I don't know very much about film or manipulating prints. I'm sorry I can't help in that regard. I'm not sure what you mean by manipulating the surface of the prints but you can't do much to the print without damaging it. Some polaroids you could separate to make a transparent image etc. Instax can't do that. Thanks for the reply, Brett. If you Google "polaroid manipulation" you'll see some examples. Lucas Samaras was perhaps the best known artist working with that technique. This is different than the transfer technique where the negative portion of peel apart film was applied to damp paper. BTW: In my search I did find some similar examples where people claim to have used Instax prints, so maybe it is possible. I'll have to try it if Santa brings me one of these printers for Christmas. Usman Dawood You forgot to add that you can print directly from a Fuji camera without the need for the app. For Fuji X series owners it's a killer feature. Holy crap that sounds awesome. I'm going to order one. You're absolutely right, it's one of the reasons I use it with my X100F. Can't believe I forgot to mention that point.